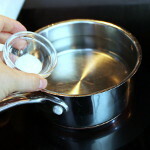 Add ¼ tsp of salt and ¼ tsp of vinegar to 3 cups water in a sauce pan. 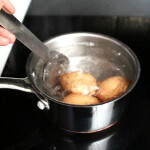 Salt and vinegar help prevent the egg shells from breaking while they are boiling. Add the 3 eggs. Once it starts to boil, cook for 15 minutes on medium-high. 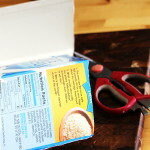 Obtain an empty cardboard milk container. Cut it with a knife or scissors. Measure the egg’s length and cut the milk container slightly shorter than that. 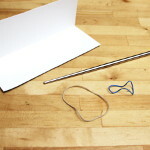 Obtain 1 chopstick and 2 rubber bands. This will be for just one egg. Each egg takes about 15 minutes to mold. So if you want to do several eggs at the same time, obtain more pieces of cardboard, chopsticks, and rubber bands for them. 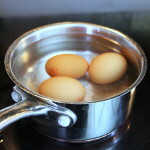 While the eggs are boiling, occasionally roll the eggs in the water to help the egg yolk stay in the center. 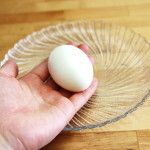 After 15 minutes, quickly peel off the egg shells. It is important to keep the eggs hot when molding them. So only run small amount of cold water – just cold enough that you can handle them while you are peeling off the shells. 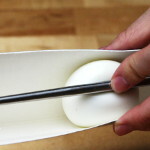 Quickly put the hot egg in the center of the paper and place a chopstick on top of the egg in the center. 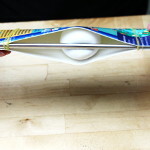 When you look at the egg, one end is wider than the other. Place the wider part face up to make a better heart shape. 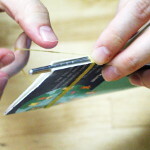 Tie both ends of the chopstick and cardboard with rubber bands tightly. However be careful not tie them too strong, or the chopstick will cut through the egg. This is how it looks. Store them in the refrigerator for about 15 minutes for the egg to harden. 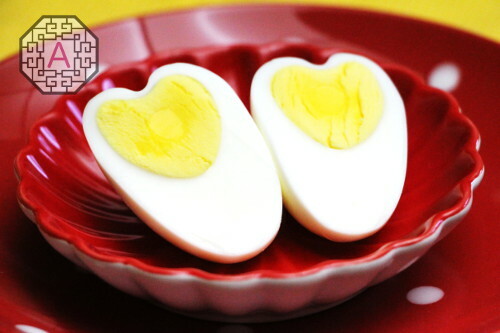 Once it’s set, cut it in half or slice it with an egg slicer to get a nice heart shaped egg. It is pretty and cute, isn’t it? This can be a good idea for valentine’s day or any day for your loved ones. 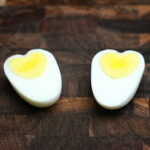 I’ve posted a heart-shaped egg roll before, if you want to try that, please check it out too. Hehe … I must be big fan of heart-shaped things. Yes, love is a great thing in our life. I love you all. Enjoy! Very cute! If you don’t mind, I will link to this post on my blog. Wow Aeri, it’s really cute, i will definitely try this on my boyfriend’s birthday hihi 🙂 🙂 🙂 thank you for sharing.. These are cute beyond words! Very creative indeed. Love the idea of using household items instead of spending money on heart-shaped moulds.